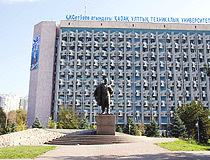 The city of Almaty oblast. 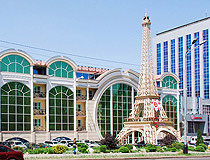 Almaty (Russian spelling Alma-Ata), formerly (1855-1921) Verny, the ex-capital of Kazakhstan, is situated in the southeastern part of Kazakhstan (Almaty oblast) at the foot of Zailiski Ala-Tau mountain system at an elevation of 2,300-3,000 feet (700-900 m). Almaatinka rivers emerge into the plain. 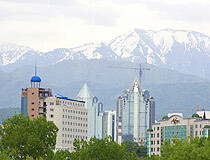 Almaty is called a garden city. 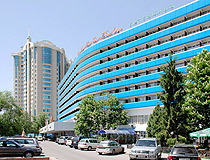 Almaty city has 80 sq.m. of green plantations for each of its million-odd residents. 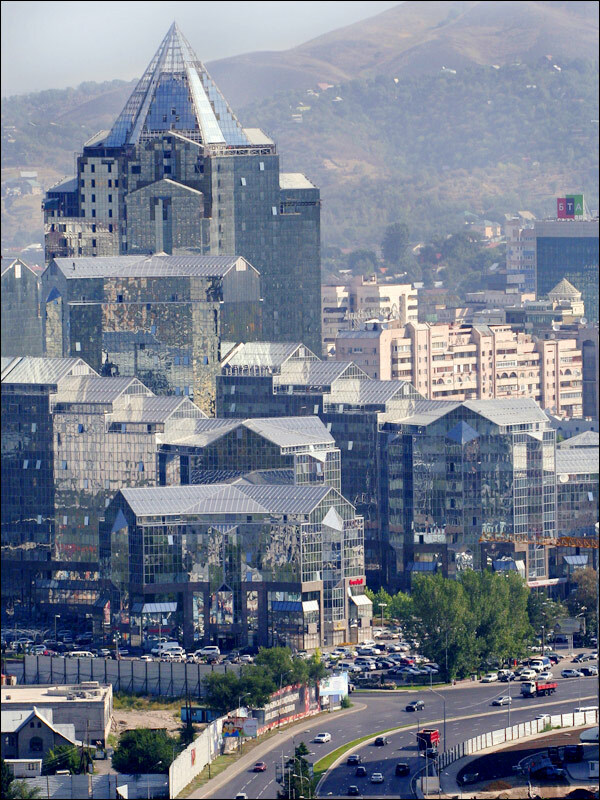 Almaty has the population of about 1,404,000 (2010) on the territory of 339 sq. km. 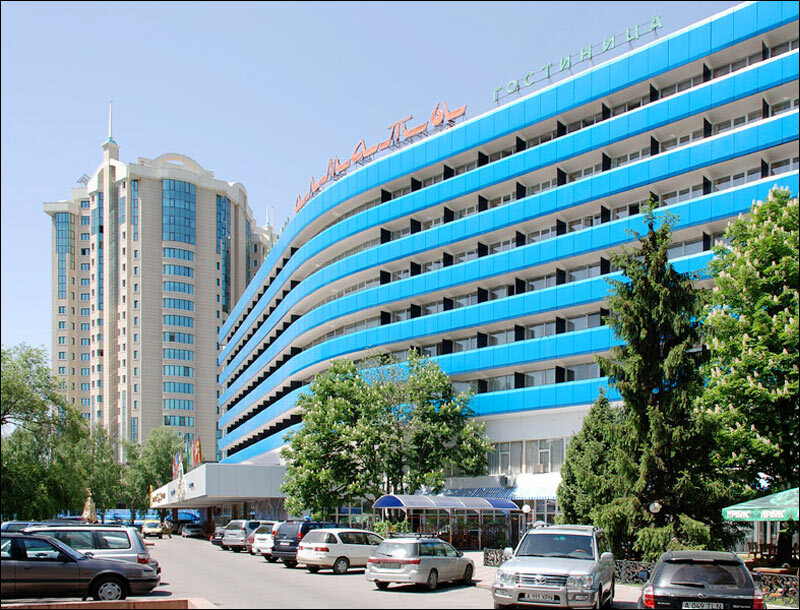 Almaty phone code - +7 727; postal codes - 050000-050063. 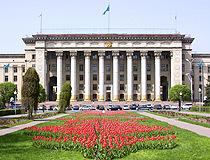 Local time in Almaty city is April 19, 4:20 pm (+6 UTC). 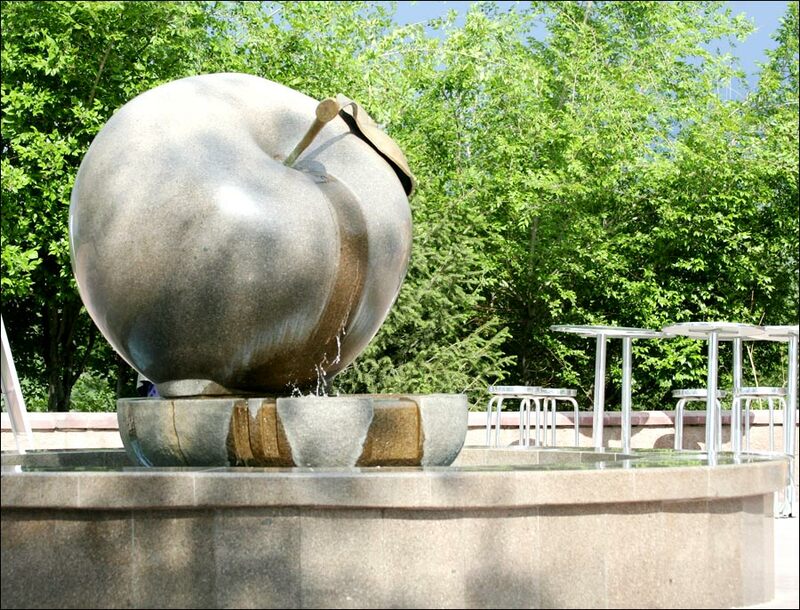 The word “Almaty” in Kazakh people language means “grown with apple trees”. 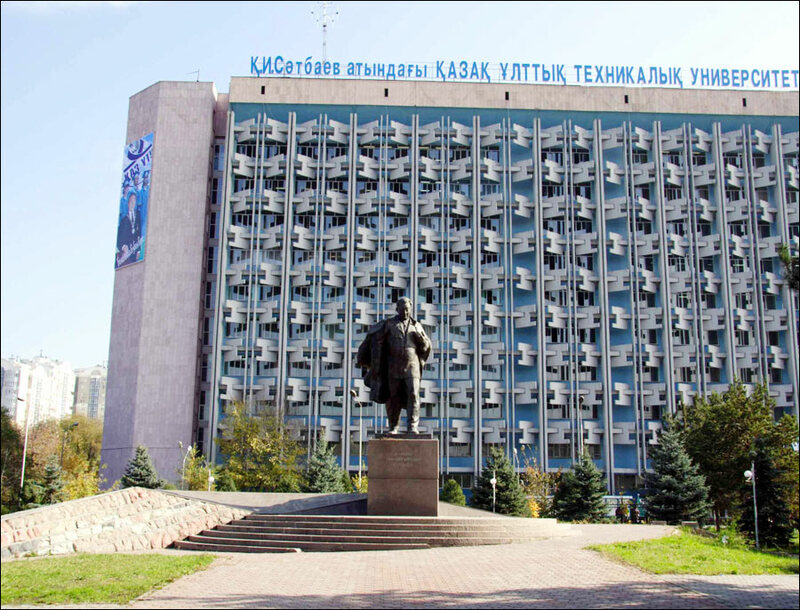 The first Kazakh scholar Chokan Valikhanov observed: “Almaty city was known for its trade and was a trading post on a high road.” Apples were no doubt one of the important commodities. 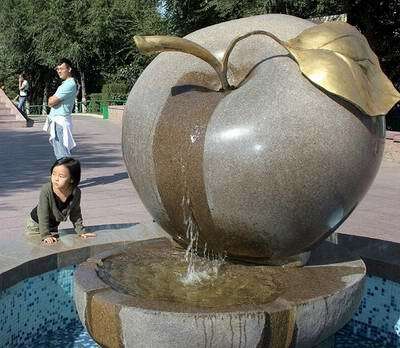 Anyway, Alma-Ata city has been famous for them to this day. 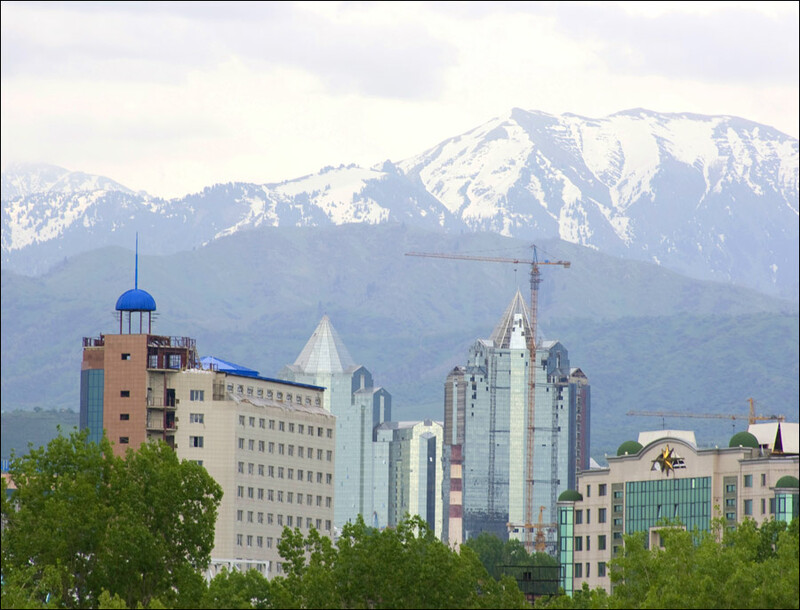 Almaty is located in an area of extensive geologic risk, being subject to both earthquakes and mudslides. Almaty city suffered from severe earthquakes in 1887 and 1911, and a mudflow down the Malaya Almaatinka in 1921 caused considerable destruction and loss of life. To reduce the risks of future mudslides, an artificial landslide was precipitated by explosives in 1966 to dam nearby Medeo gorge. The 330-foot dam that resulted proved its worth in 1973 by holding back a potentially catastrophic mudslide. Later improvements have raised the dam to 460 feet and further improved the security of Almaty. 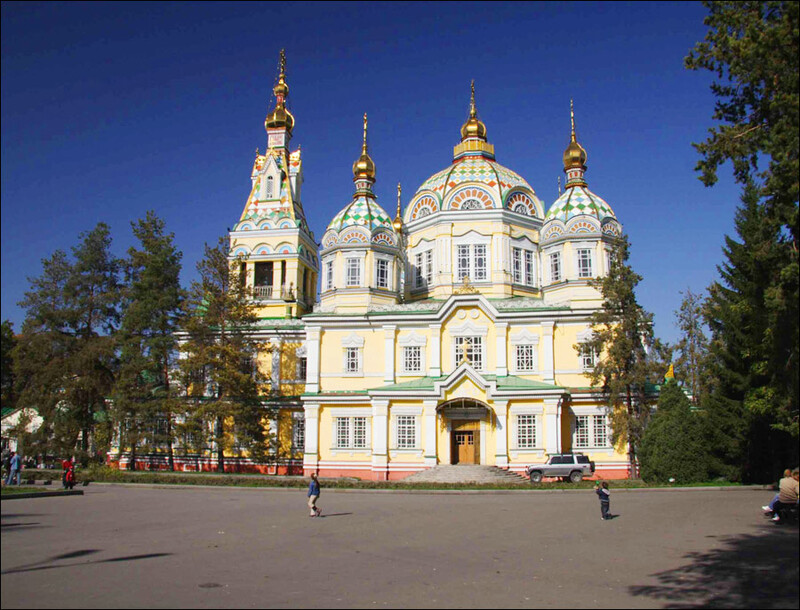 Almaty was founded in 1854 when the Russians established the military fortification of Zailiyskoye (renamed Verny in 1855) on the site of ancient settlement of Almaty, which had been destroyed by Mongols in the 13th century. Cossacks, peasant settlers from European Russia, and Tatar merchants soon established themselves in the vicinity, and in 1867 the fortification became the town of Verny and the administrative center of newly created Semirechye province of the governorate general of Turkistan. 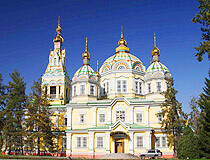 By 1906 the population of Almaty town had grown to 27,000, two-thirds of whom were Russians and Ukrainians. Soviet rule was established in 1918. 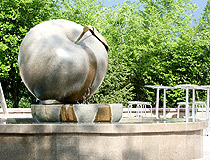 In 1921 the city was renamed Alma-Ata, after its Kazakh name, Almaty (literally “Father of Apples”), alluding to the many apple trees in the locality. The transfer of Kazakh capital from Kzyl-Orda to Alma-Ata city in 1929 and the completion of the Turk-Sib Railway in 1930 brought rapid growth. The population of Alma-Ata city rose from 46,000 in 1926 to 221,000 in 1939. A number of food and light industry undertakings were built, and heavy industry, particularly machine building, developed later on the basis of plants evacuated from European Russia during World War II in Alma-Ata. 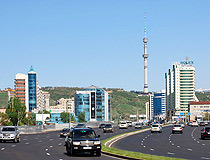 Almaty is now a major industrial center, with the food industry accounting for about one-third of its industrial output, and light industry one-fourth. 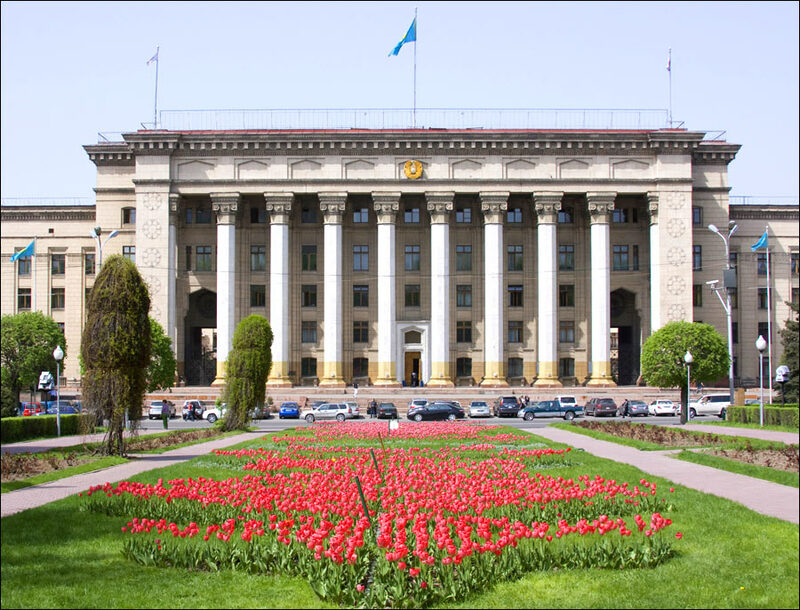 There are a number of institutions of higher education in Almaty city, including Kazakhstan State University (founded in 1934), and teacher-training, economics, polytechnic, agricultural, and medical institutes. Almaty houses Kazakhstan Academy of Sciences and its many subordinate research institutes, numerous museums, an opera house, theaters producing in Russian, Kazakh and Uighur, and Pushkin State Public Library. 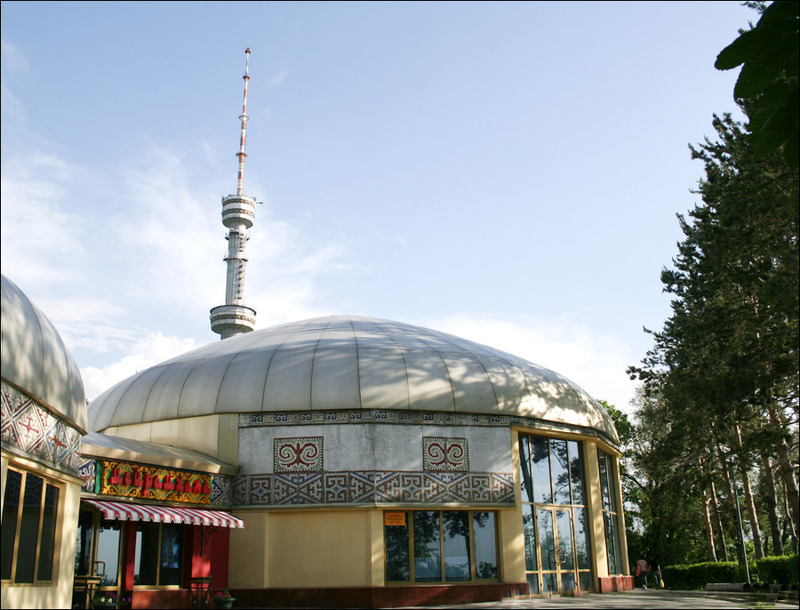 Almaty also has a botanical garden, a zoo, several stadiums, and the permanent Kazakhstan Exhibition of Economic Achievements. 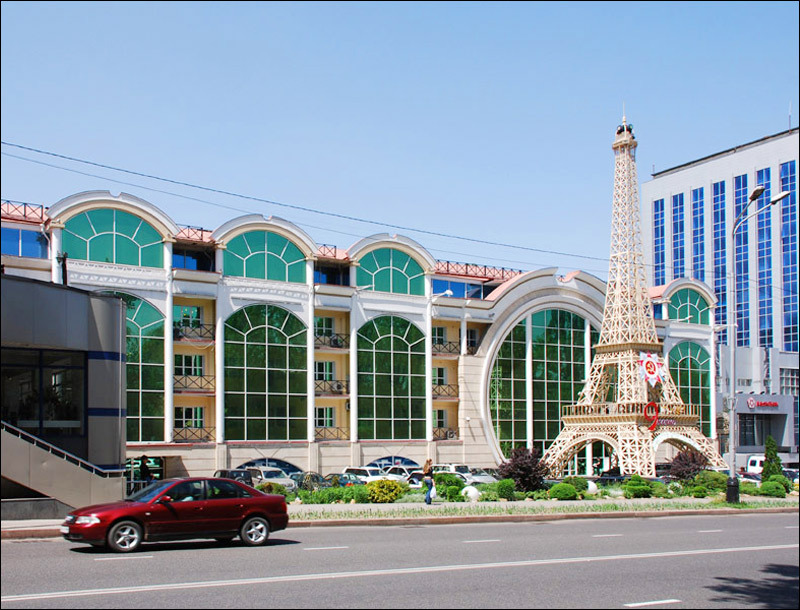 Today Almaty city extends about 12.5 miles (20 km) in all directions from its center and is considered one of the most beautiful cities of Kazakhstan, with regular planning, wide, tree-lined streets, numerous parks and orchards, and a backdrop of mountains. 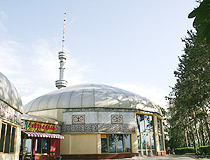 Mount Kok-Tyubeh offers a picturesque panorama of Almaty. Far below the residential districts can be seen buried in verdure. At the foot of the mountain to the north stretches a plain, and to the south, just a stone’s throw away, so it seems, are snowcapped mountains rising as high as five kilometers. 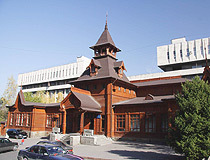 The former Ascension Cathedral of Almaty city, built in 1907 and the second highest wooden building in the world, now houses a museum. 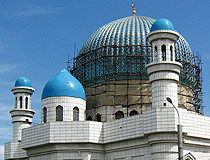 Of the population of Almaty city, Russians make up about 60 percent, with the remainder made up chiefly of Kazakh (less than one-quarter), Ukrainian, Uighur, Tatar, and German minorities. Today in Almaty city there are 16 higher education establishments, including a university, and dozens of general education and technical secondary schools and vocational schools. 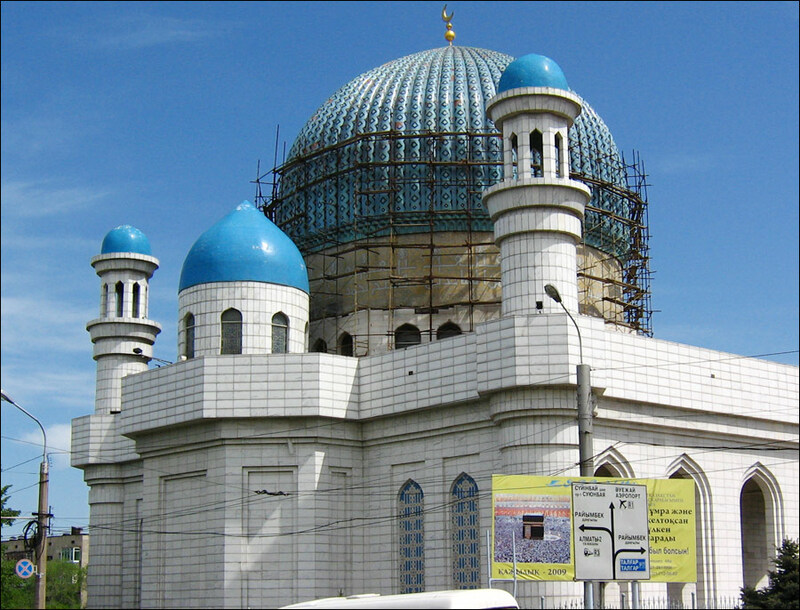 Kaisa asks: When is there a bus from Almaty to Urumqi On what days and at what time? The bus from Almaty to Urumqi (China) runs every day except for weekends from Sairan bus station at 09:00 am local time, the trip takes about 24 hours, the price of a round-trip ticket is about 10,000 Tenge (31 USD). You can also fly from Almaty to Urumqi (the fastest way) or go by train (the slowest way). 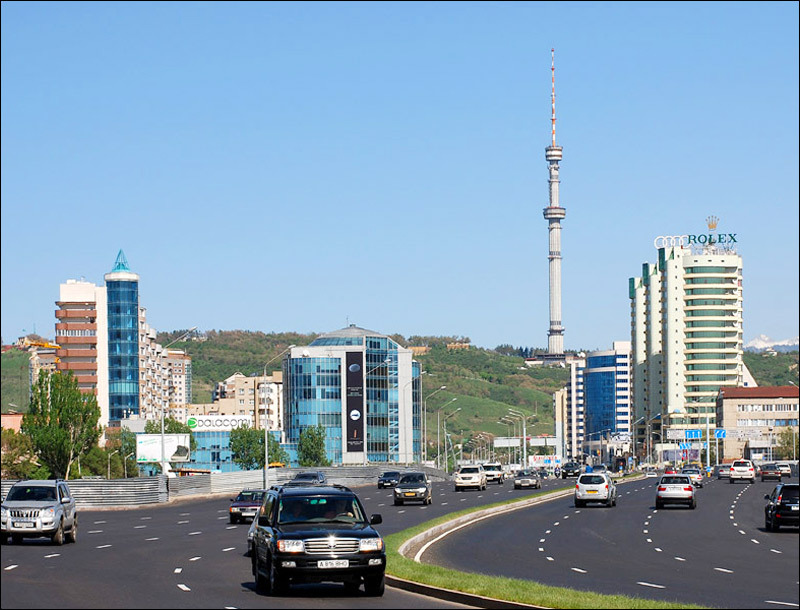 Karen asks: What is the average temp in Almaty in January and February? 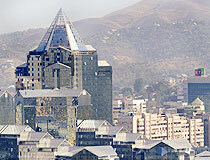 In Almaty, the average temperature in January is minus 4.7 degrees Celsius, in February - minus 3 degrees Celsius. Carla Delgado asks: I'll go to visit Kazakhstan and as would be done to live in Kazakhstan, are there Latinos in Almaty? 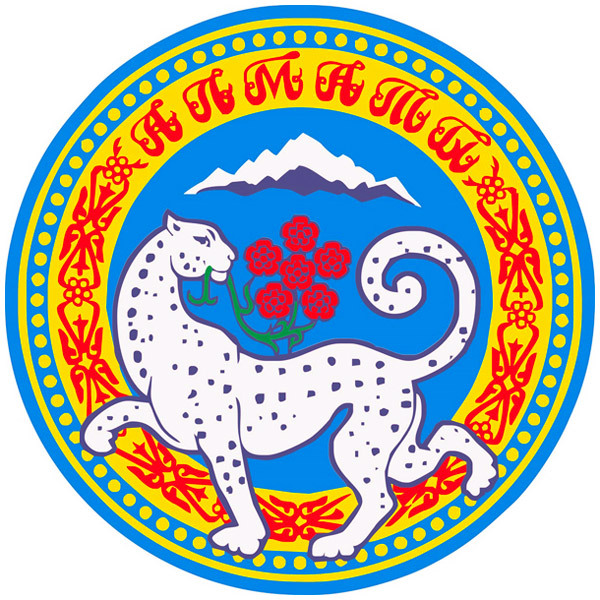 In 2010, the ethnic composition of Almaty was the following: Kazakhs - 51%, Russians - 33%, Uyghurs - 5%, Koreans - 1.9%, Tatars - 1.8%, Ukrainians - 1.2%, other nations - less than 1%. So there is no any sizeable community of Latinos in Almaty. 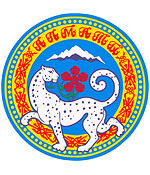 From June 1993 thru November 1995 I was an American teacher living in Almalybaq, west of Almaty. It is the people with whom I lived and those I met during those years, that continue to be at the heart of every memory and recollection. The kindness, generosity, dedication and resilience of spirit in those I encountered, forever changed my life.